4BR/3BA Gulf Front Condo that Sleeps 12 NEW Updates! MORE NEW UPDATES!! NEW Kitchen Appliances, granite counters, recently remodeled Kitchen cabinets, Tile Floors throughout, and so much more. Situated on Destin’s pristine white beaches, Villa Coyaba’s 2,200 square foot luxury condominiums offer guests a beach haven of rest and relaxation. 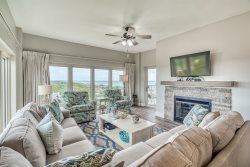 Featuring 4 bedrooms and 3 bathrooms, this sophisticated unit comfortably accommodates 12 guests and features top of the line furnishings, a Gulf front balcony with an unbeatable view, fully equipped gourmet kitchen and complimentary beach chair service during season. Villa Coyaba is nestled on Scenic Highway 98 and provides guests the convenience of being a short drive away from all of the world-class shopping and dining Destin has to offer. 25% is due at booking which holds the unit for you and is applied toward your rental fee. Full payment is due 30 days prior to arriving. Add $205 for housekeeping and 11% for tax. There is a $69 damage protection fee, $30 Booking Fee, and 2.09% to process credit card payments.